Maurizio Millenotti is a renowned Italian costume designer. He’s been nominated for two Costume Design Oscars for Otello (1986) and the Hamlet (1990) starring Mel Gibson, and works frequently with the Tirelli Costumi costuming house. Unfortunately there are very few print interviews available with him, but luckily there was a detailed interview in the book FilmCraft: Costume Design, so I was able to find some of Millenotti’s thoughts on his work. Enjoy! “The first film that I designed was [director Federico] Fellini’s E la nave va (And the Ship Sails On, 1983), and it was the most challenging. I felt totally inadequate; that’s when I started losing my hair! … Fellini asked me to collect research for a film that was set in 1914, and he wanted to be very precise. I traveled to all the great Italian theaters looking for documentation, and I found much that Fellini was looking for about the singers and characters” (FilmCraft: Costume Design). 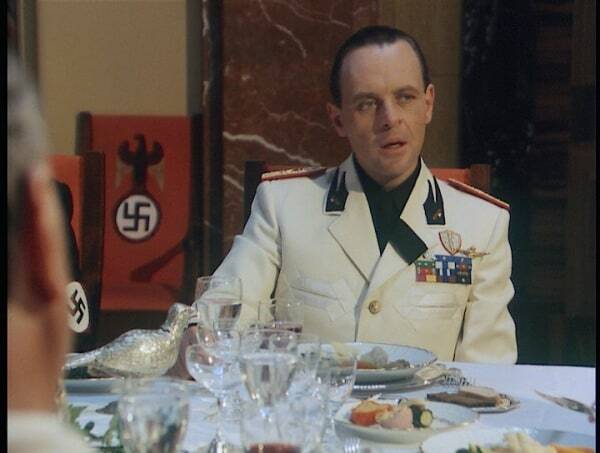 A TV series with Anthony Hopkins as Italian dictator Mussolini and Susan Sarandon as his daughter Edda. “For Zeffirelli’s Otello (1986) my inspiration was the Venetian paintings of the middle 1500s — Tintoretto, Tiziano and most of all Veronese. 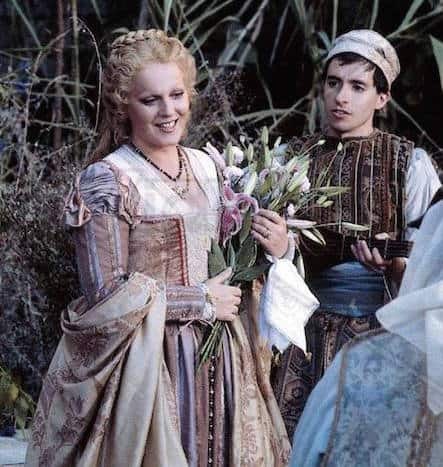 We had the wonderful soprano-turned-actress Katia Ricciarelli, who was perfect to play Desdemona. 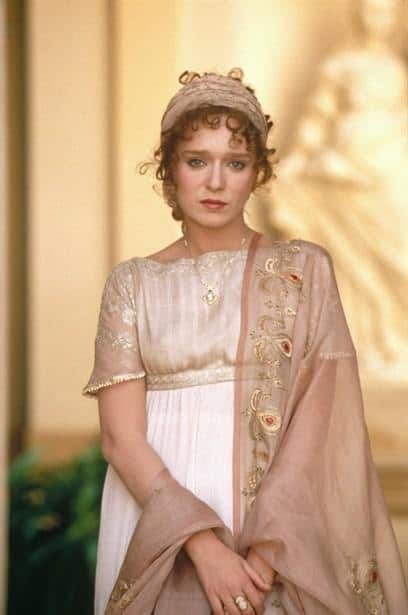 She really looked like someone straight out of a Veronese painting” (FilmCraft: Costume Design). “Working with director Franco Zeffirelli was a major professional collaboration. Hamlet (1990) was a unique experience for me because the production was based in London and we had to create everything from there. This decision was not without its problems, because a bunch of Italians and an Australian who was designing Hamlet was somewhat offensive to the English costumers. 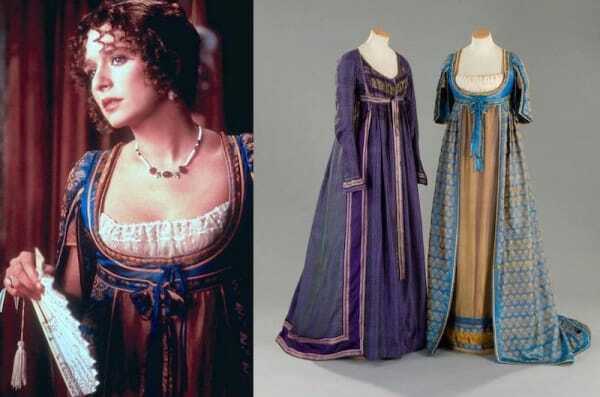 After three weeks of unhappy pre-production Zeffirelli asked me to replace the costume designer that Mel Gibson had initially requested” (FilmCraft: Costume Design). 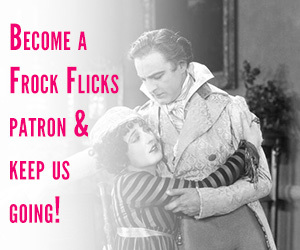 Based on Pierre Benoit’s 1919 novel Atlantida, about a former soldier who searches for a man who has disappeared, and comes into contact with a mysterious and attractive queen from an ancient dynasty. An adaptation of the Italian fairy tale. 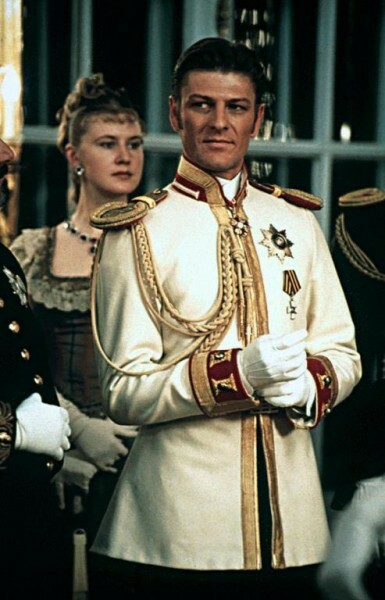 “There are period movies where I provided no drawings at all, like on Anna Karenina (1997). 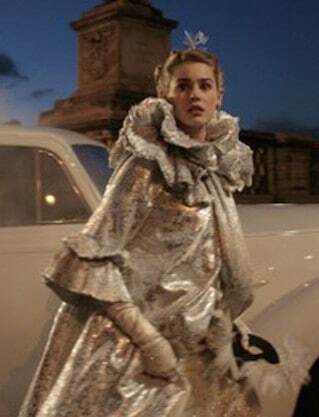 I worked from authentic period dresses by recreating them with similar fabric, cut and trim… This film was shot on real locations in St. Petersburg and Moscow. 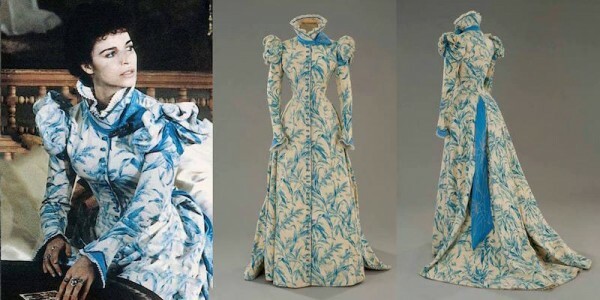 The inspiration for these clothes came from photographs of the Russian aristocracy. I tried to recreate the richness and the elegance of those days before the revolution. For the costumes of the peasants I found some fantastic references in an ethnic museum in St. Petersburg, a fantastic museum unique in all the world” (FilmCraft: Costume Design). 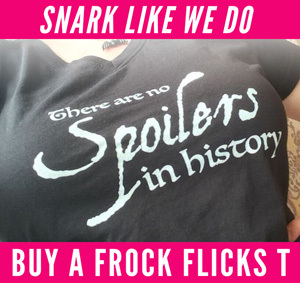 Set in 1636, a bride takes a hazardous journey to reach her betrothed. 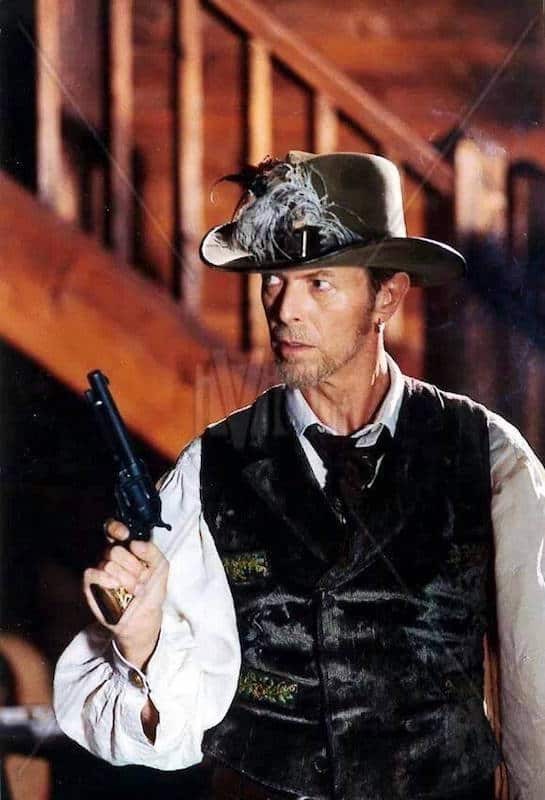 A Western starring David Bowie! 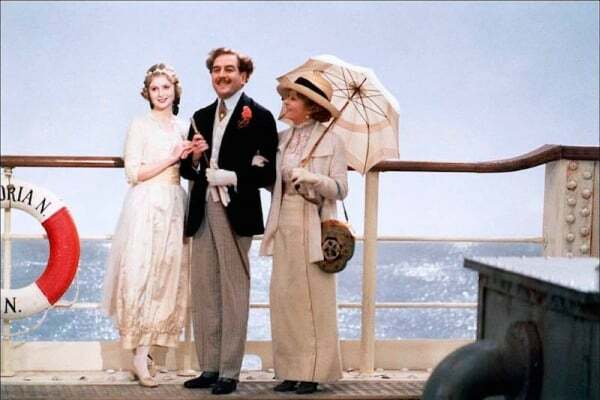 “Another film that was very hard to make was Tornatore’s La leggenda del pianista sull’oceano (The Legend of 1900, 1988), which took place across many eras and actually ended in the 1940s. 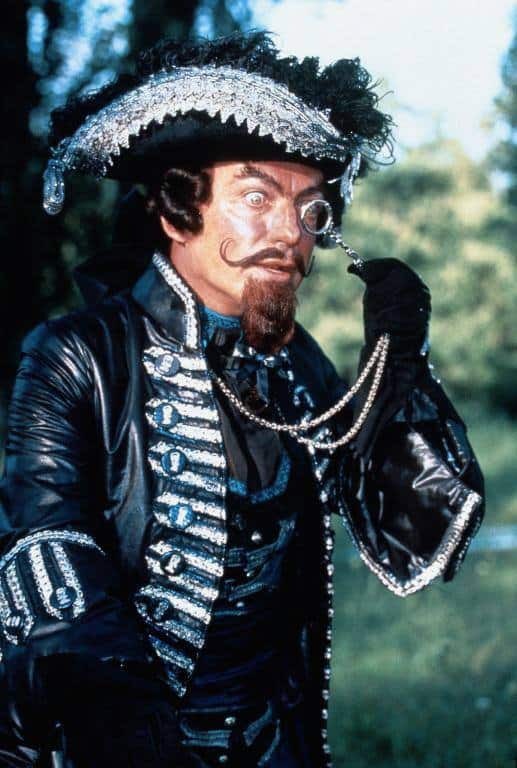 Although there was plenty of money for the production budget, I got very little money to design the costumes, but the film turned out well… This was a very hard movie for costume, first, because it took place on a ship and also because I used real vintage pieces combined with my designs for four decades of costumes for different seasons and social classes. 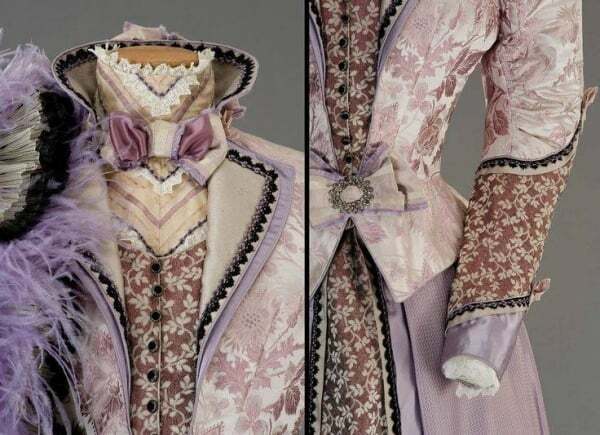 There were costumes from the lower classes to the aristocracy with lots of special characters from 1900 to 1930″ (FilmCraft: Costume Design). 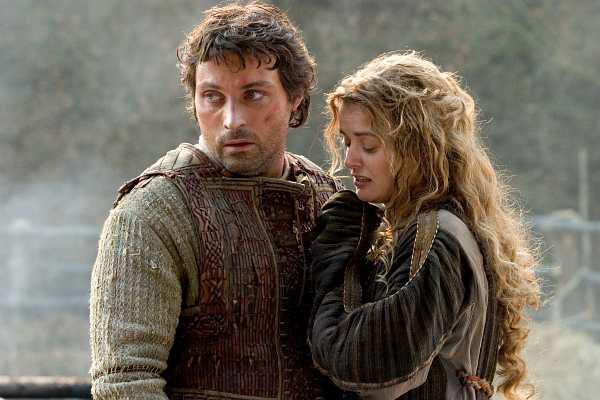 A TV miniseries adaptation of the famous stories, with Dougray Scott and Rufus Sewell. “It was such a pleasure to dress Monica Bellucci for Malèna; I loved watching all her transformations. 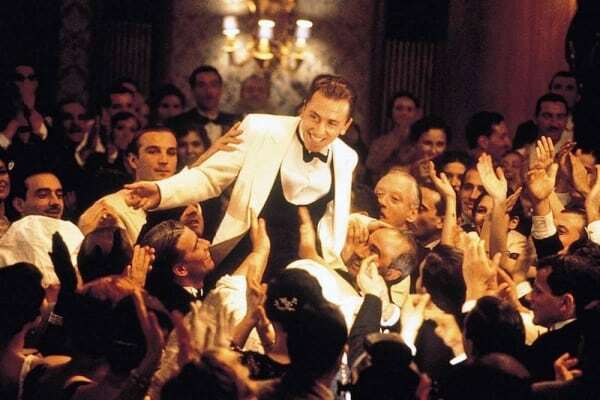 [Costume designer] Piero Tosi told me it was one of the few films about the 1940s where he felt that the costumes were believable, a great compliment. It’s hard to make films about the 1940s in color, because we’re used to seeing them in black and white. In Italy, we are so used to our neo-realistic films of the post-war era… To make the costumes believable I used clothes from the 1940s and dyed them all other colors, then mended and transformed them to give the impression of the poverty and the human desperation of that period. 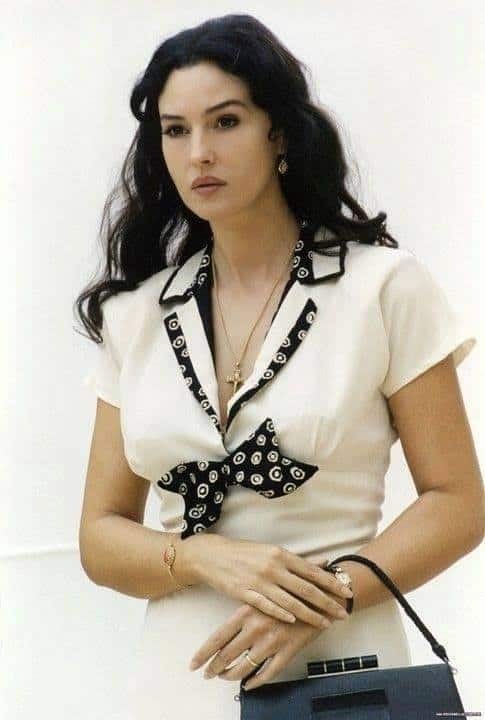 Monica Bellucci had so many changes — from a middle-class woman, she then loses everything and we had to make all those transformations” (FilmCraft: Costume Design). 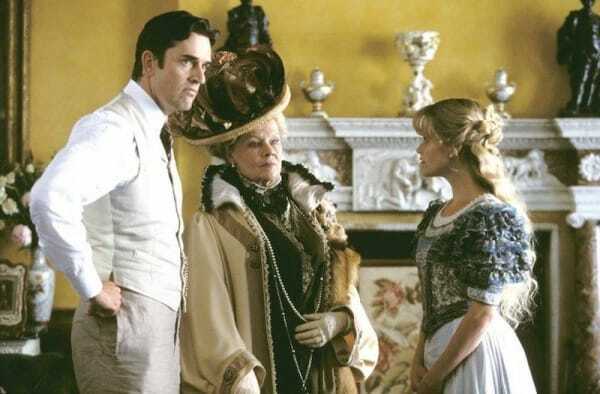 “When I designed The Importance of Being Earnest (2002) in London, the tension with the Brits happened once again. 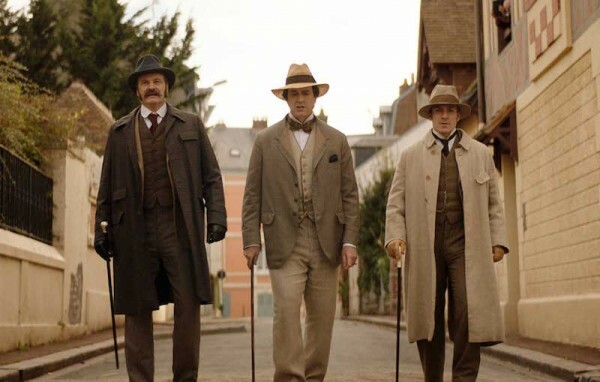 The idea that an Italian would go to Italy to make costumes for Oscar Wilde was sacrilegious. For whatever reason, I regret to say that they gave me a hard time” (FilmCraft: Costume Design). 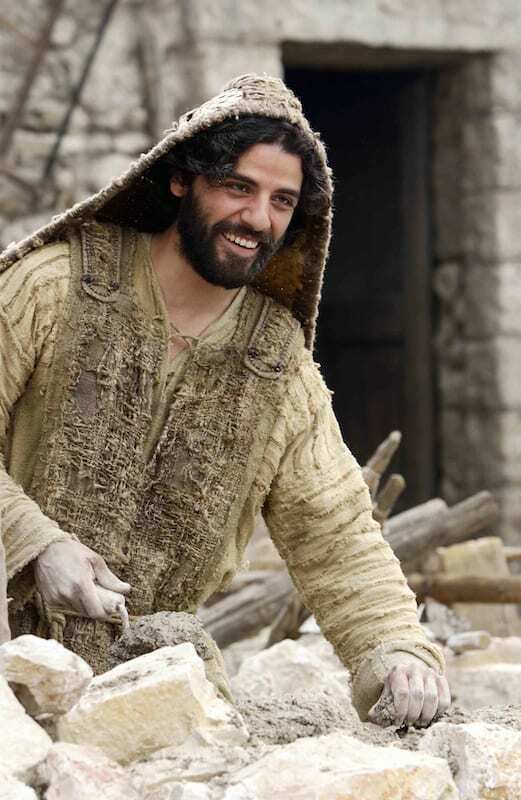 A highly controversial movie about the last hours of Jesus Christ’s life. Monica Bellucci as an Italian countess that an imprisoned Napoleon is in love with. 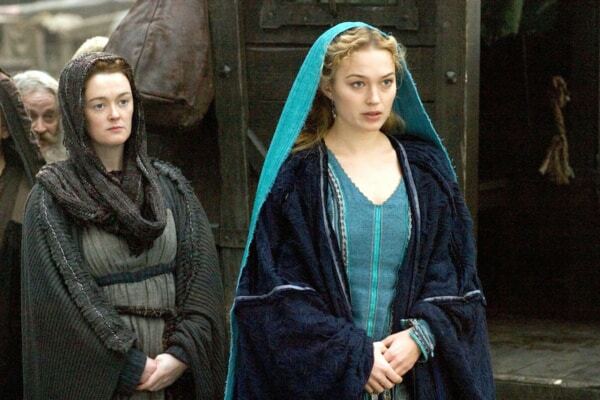 “The Nativity Story came after The Passion of the Christ, was the same period and shot at the same locations, but I tried to tell a different story through the costumes. Nativity is more joyful and I used light colors and found inspiration from the beautiful landscape around us. 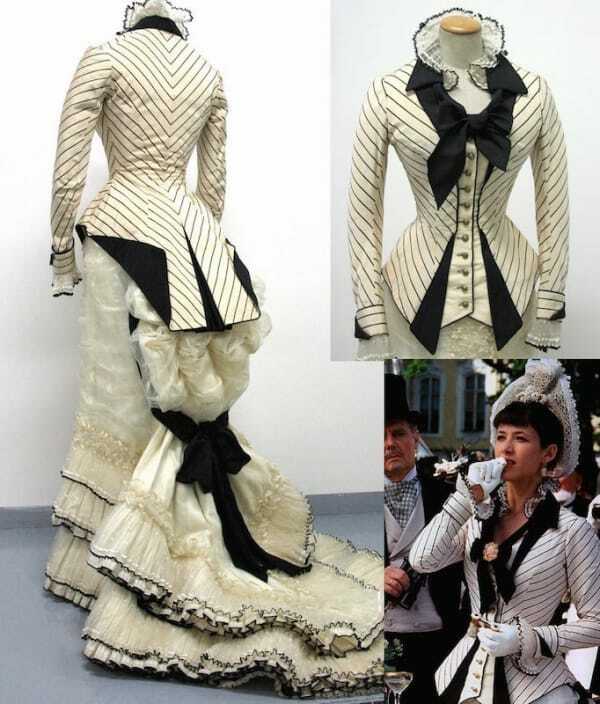 As often happens in the movies, many of the costumes that I designed did not make it to the final cut” (FilmCraft: Costume Design). 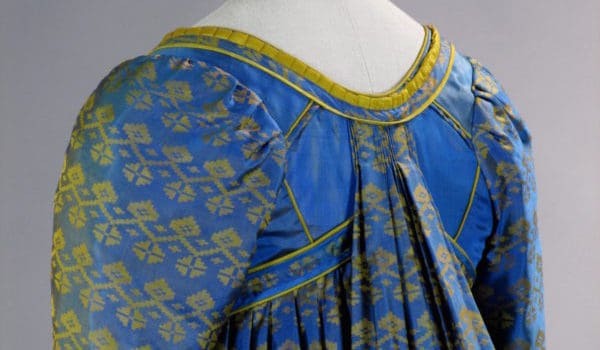 “There was absolutely no research in the period and no reference for original clothes. The costumes ended up being much closer to my fantasy of the clothes that existed at that time. When I am freer to create, my creative process happens gradually. This always depends on a sudden moment of incredible creativity and on the opportunities that arise. Designing and making costumes for period and fantasy films allows me to be much more imaginative with my design” (FilmCraft: Costume Design). A TV miniseries set during Italian Unification (1860). An Italian version of Cinderella. 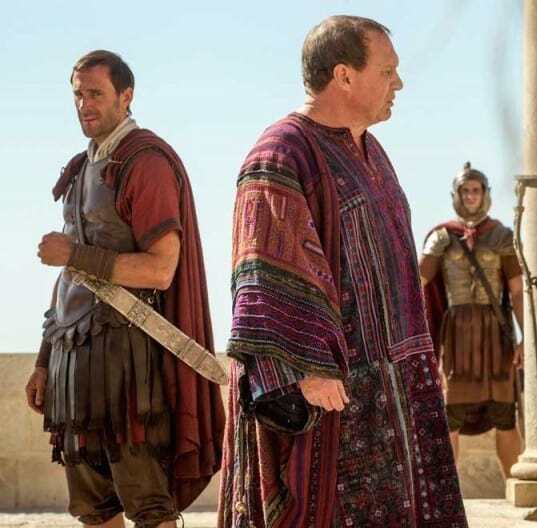 “In 33 AD, a Roman Tribune in Judea is tasked to find the missing body of Jesus Christ, who rose from the dead,” per IMDB. A 3D movie about Italian Renaissance painter Raffaello. 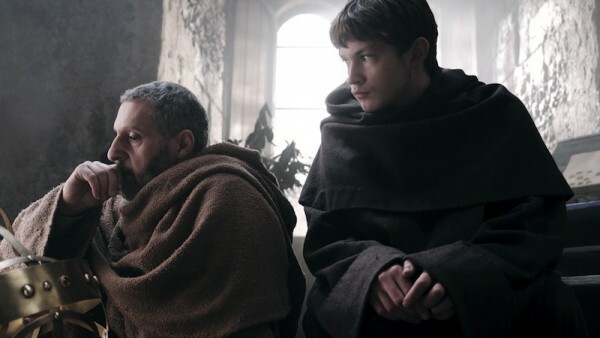 A biographical documentary about Italian Renaissance painter Michelangelo. Rupert Everett‘s recent biopic about Oscar Wilde. A TV miniseries adaptation of the novel, coming to Sundance later this year. 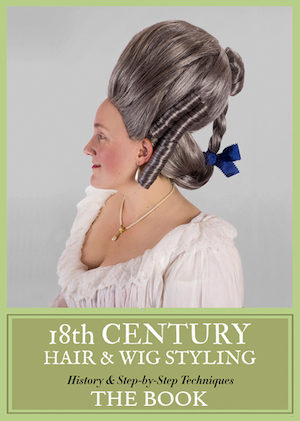 Which are your favorite historical costumes by Maurizio Millenotti? Wow the Name of the Rose as a mini series, should be fun! 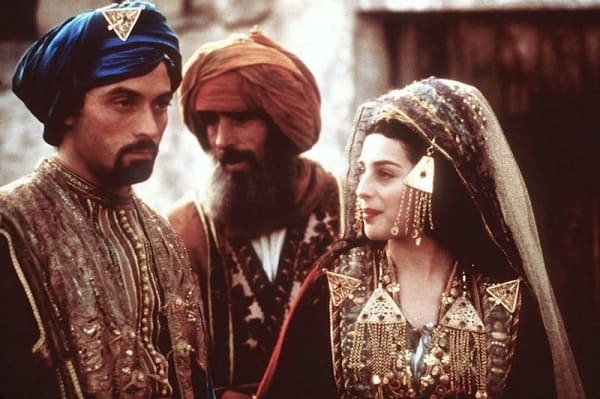 “Arabian Nights” is a costume ROMP, well worth your time, and most of it is pretty darn accurate (although Morgana’s dance is a little interpretative (when you have sleeves that wide and loose, you don’t dance with your arms up). 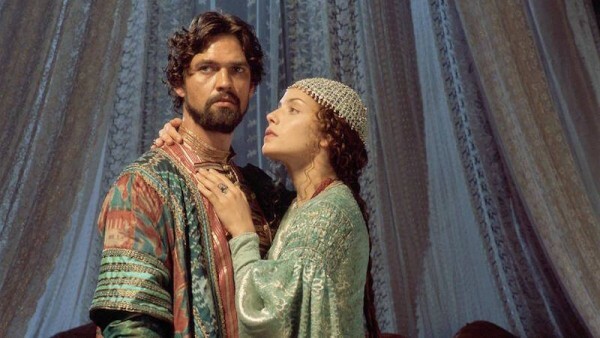 The wedding dress in “Tristan and Isolde” was made for “Arabian Nights”, it’s SO pretty.